Amazonas Tavolino Table: This Amazonas Tavolino Table is a perfect table that will complement the look for the Globo Collection and has been crafted with layers of spruce wood. Using high quality wood and then bonded together to create a study table suitable for outdoor use. 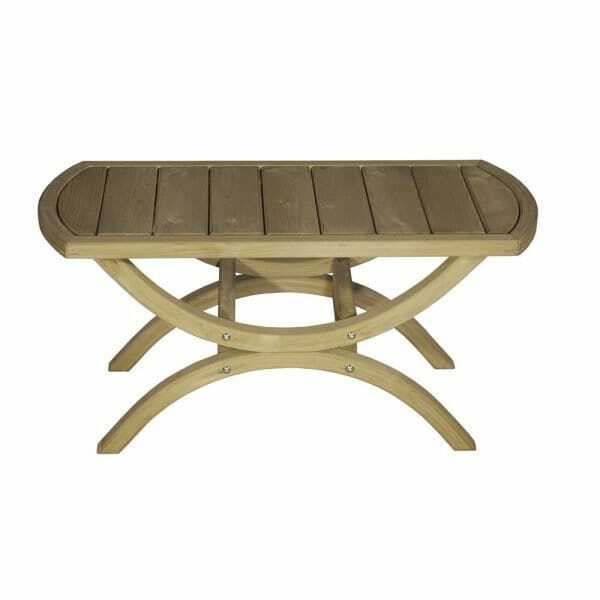 A perfect additional item to your garden furniture and sits at a good height of 42cm, which stops you from over reaching. The Amazonas Tavolino Table has been oil treated for a weatherproofed finish, you can have this piece next to your chair and not move all afternoon. The wood has been ethically sourced and has been FSC certified.